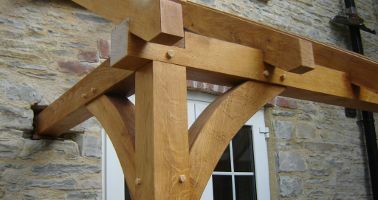 John Tinney and his experienced team have been creating wooden structures in and around Somerset for many years. A demand for their traditional building methods has lead to a portfolio of oak structures from solid oak benches to finished green oak buildings. Johns structural building, carpentry and computer aided 3D drawing experience enables him to work closely with architects, engineers and builders as well as directly with the client.